In reviewing different VoIP providers, I’m always struck by how tightly or loosely the provider clings to the older traditions of business PBX and business phones. The beauty of hosted PBX is that many of the rules go out the window, leaving room for tailor-made pricing and service schemes. U.K.-based VoIPdito focuses on making their business as web-centric as possible, allowing tech-savvy subscribers to shred costs. But, if that isn’t your demographic, you might find what VoIPdito offers a little confusing, and not necessarily the best for you. VoIPdito’s biggest strengths are how well it integrates SIP to its business model, and how location-agnostic it is. I’ve written extensively about the benefits of SIP. VoIPdito bases their business model on SIP more than any other company, except, well, onSIP. So, the comparison is only natural. But rest assured, VoIPdito is no “ditto” of OnSIP. VoIPdito starts their packages at a mere $4.99 per month. They have no contracts, and you don’t even need a credit card for a 100 free minute trial. The $4.99 virtual PBX includes every feature we’ve come to expect, such caller ID, call rules, online integration and music on hold. 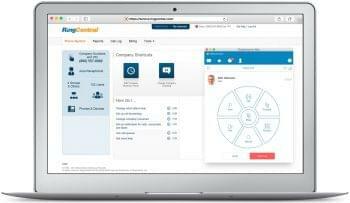 VoIPdito provides unlimited: ACD call queues, ring groups, pickup groups, SIP calls, and inbound numbers. Note, that I said “numbers,” not minutes. This is one of the unique pricing schemes that VoIPdito offers. For incoming calls, you can select as many inbound numbers as you want and can afford. You can choose from over 40,000 cities (area codes) across 50 countries. Each number costs a setup fee and a monthly rental. U.S. numbers are $6.23 setup and $6.23/mo. That’s the same price as a few other countries (The Netherlands, Sweden, Bulgaria, and Austria, Ireland). Phone numbers in other countries can be rented for slightly more, usually $9.97 to $12.47, with a few pricey countries going up to $16.21, and only one country, the Dominican Republic, going as high as $22.44 per month. An iNum number is free to setup and free to rent. Each phone number comes with two concurrent channels, meaning you can receive only two calls at once per number. To pay for more channels, you pay the same price as the phone number for each set of two channels. Incoming callers only have to call one number. Channels cannot be pooled. As for outgoing calls, any SIP-to-SIP number is free. You can call anyone who subscribes to VoIP for free, but you have to enter their SIP address into your phone, not their phone number, otherwise you’ll be charged their normal rate. Incoming calls are free for you to receive, and outgoing PSTN and cell phone calls in the US are 1.4c./minute. You can also send SMS messages to cell phones for 8 cents per txt. VoIPdito has a web portal and a desktop interface that is easy on the eyes and simple to understand. You can add features or purchase hardware directly from their portal. 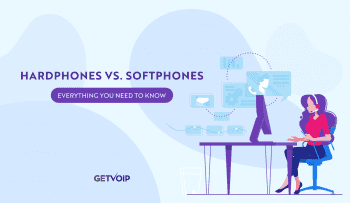 If you bring your own device or opt to use a softphone, you can have your account set up and ready to make calls in five minutes, or at least so they claim. VoIPdito is not exclusive to either PolyCom or Cisco. They sell a number of Linksys, Aastra, Snom, and Siemens hardware, as well as their proprietary mobile app, and link to free SIP clients. You can integrate your various screen names and emails into one client. With SIP, you can configure all your phones with “one click central provisioning.” VoIPdito also sells replacement parts in case you break a stand or lose a curly cord. It’s a nice touch. Overall, VoIPdito provides premium features at prices that won’t break the bank. Any small or medium sized business would do well to look into VoIPdito. VoIPdito does expect their customers to have different calling habits, which is why they are a better fit for smaller, growing businesses that don’t have entrenched habits. 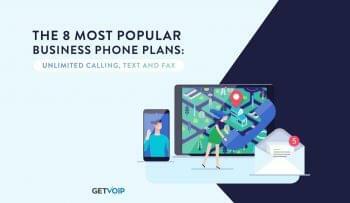 Although the low base price puts them in the same category as Phone.com and eVoice, VoIPdito has more in common with OnSIP or Phonebooth, in that their ideal customer has an actual office, and needs an actual PBX, not only call forwarding.